Experts from across Greater Manchester described the new landscape of aftercare services at an event for stakeholders. 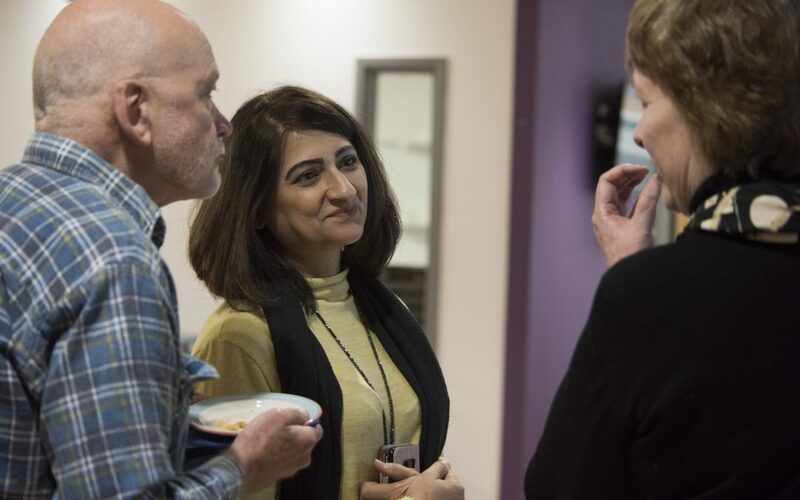 The event at The Christie aimed to update patients and their families, as well as health professionals, about Vanguard Innovation’s progress in providing new models of care after cancer treatment. There was a particular focus on the implementation of the Macmillan Recovery Package, a series of measures designed to better support and improve the quality of life of those living with and beyond cancer. Delegates to the event also heard sessions about the role of technology in aftercare, as well as new approaches to aftercare for colorectal, prostate and breast cancer. Coleen Quinn, a person affected by cancer from Bury, said: ‘I’m very encouraged by what I’ve heard, in particular that the Recovery Package is being taken seriously and is being implemented. Dr Wendy Makin, Vanguard Innovation Lead for Living with and Beyond Cancer and Medical Director at The Christie, said the feedback she had received was extremely positive. The full presentation delivered on the day is here.